Last month the President Hotel invited members of the press to view their newly refurbished floors, proudly paying tribute to the beauty of Cape Town. Apart from the two floors (5th and 6th floors) the renovations also included a new Kiddies Play Area, Reception, The Point Lounge and Deck, Owners’ Lounge and Deck Bar, and refurbished rooms. As they described it, "the new features incorporate an air of the landscapes and rich history of Bantry Bay and the Western Cape, now with new life breathed into it." From the locally sourced, modern lamps illuminating each bedroom, to the hand blown, glass beaded screen in reception that takes its heritage from traditional African cultures, our guide told us that each space’s attributes have been considered - ‘what should be included, and why’. We were impressed by features such as the wireless chargers in the waiting area, and a new group’s arrival area that can be doubled into a cinema room where HotelFlix, the hotel’s new in-room streaming service, can be cast onto a screen. Our room had a cellphone that you could use to surf the net; which can also be used while exploring the city. A tracker ensures that they always know where the phone is and a deposit is placed on your room account the minute you take the phone outside, to ensure the phone is returned safely. 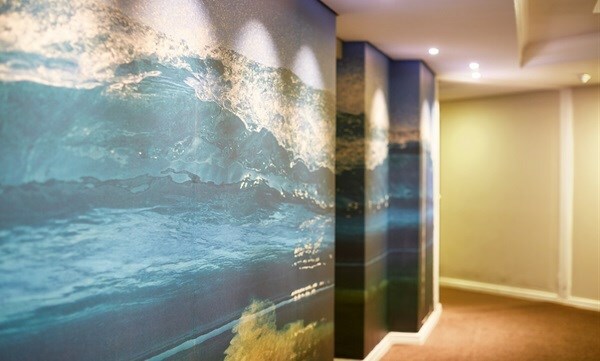 But what was even more impressive was the large-scale wallpaper photos that adorned the corridors. All of these with tags indicating where each photo was taken, prompting guests to explore the city in search of the exact spot. It was a delight to see that they also added the breathtaking photos as beautiful wooden framed images hanging on the walls of the individual rooms and suites. Images supplied by President Hotel. 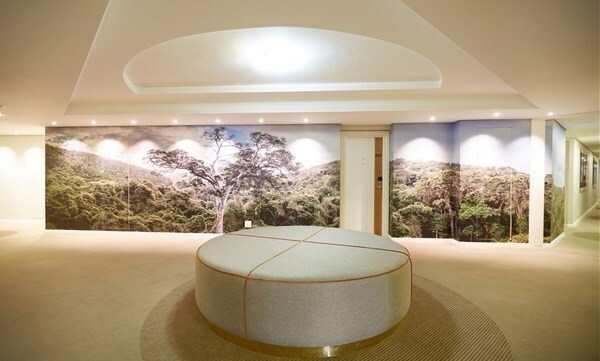 Our tour guide further informed us that each floor will eventually showcase a different theme of photo art including landscapes, ocean, fauna, flora, culture, and Madiba - the finished floors currently feature ocean and flora. (Floors 3 and 4 will be refurbished next year and floors 1 and 2 the year after.) The sequence of images features a unique story of the Mother City, which was captured along the over 1,000kms of land and sea by local photographer, Sasha Specker. With the aim of providing guests with a diversified perspective on their surroundings, Specker ventured to distinct corners of the province including the rugged crags of the Cape Fold Belt and Cederberg Mountains, wide ranges of the Karoo, and into the shores of the Atlantic and Indian Oceans. While only a small fraction of the incredible sights and destinations you can experience, each piece will provide a window into the opportunities one can have in and around Cape Town. We hope they inspire guests to go out and experience these incredible places for themselves. Another highlight was the amazing view from our sea-facing room. Our guide reiterated that at the President Hotel, guests will not only be able to get a glimpse of the city at its finest, but also access it with their unique location – nestled in-between the pristine beaches and vibrant city - through curated tours and travel experiences that reach the sites captured in the photos. Today’s travellers crave authentic experiences rooted in the places they visit. Our goal was to update the President Hotel’s spaces and offerings by developing an interconnected design that reinterprets leisure in a modern way and pays tribute to our incredible city and surroundings. In celebration of the hotel's commitment to the local community, it will also be launching a new loyalty programme, treating guests with discounts and points on their new locally inspired and seasonal food and drink menus. Additionally, catering to families visiting the Mother City, the hotel aims to create unforgettable experiences with their new family package with tailored kids welcome packs, menus, an all-inclusive kids’ entertainment area complete with a jungle gym, teepees, jumping castle and ball pit, and dedicated child-minders, and more. Image supplied by President Hotel. , contact 021 434 8111 or visit the website. Follow them on their social media channels via Twitter | Instagram | Facebook. 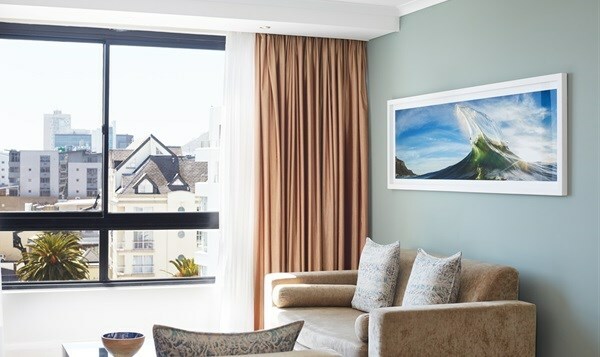 The history of the President Hotel is entangled with the rich heritage of Bantry Bay and Sea Point, celebrating over 250 years of breathtaking views, local experiences, and high-quality hospitality.